I worked on one of these at the museum a couple of weeks ago. Unfortunately, I tend to see a lot of them there, as they seem to be prone to colliding with downtown buildings. I've been reading up a little on the Cornell Lab of Ornithology's website, Bird of North America. The introduction to D. virens' entry describes them as the eastern representative of the what is considered the widely dispersed D.virens superspecies. 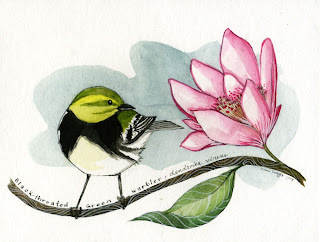 This group of closely related wood warbler species includes: D. virens, the Golden-cheeked (D. chrysoparia), Hermit (D. occidentalis), and Townsend’s (D. townsendi) warblers, and probably the Black-throated Gray Warbler (D. nigrescens). D. virens itself is currently divided in to two supspecies. It is often the most common breeding species of northern coniferous forests, and has a distinctive and persistent song. Apparently a male was recorded as singing it's song 466 times over the course of an hour. This is beautiful. I love the shape and color of the flower and the curve of the skinny branch and leaf. 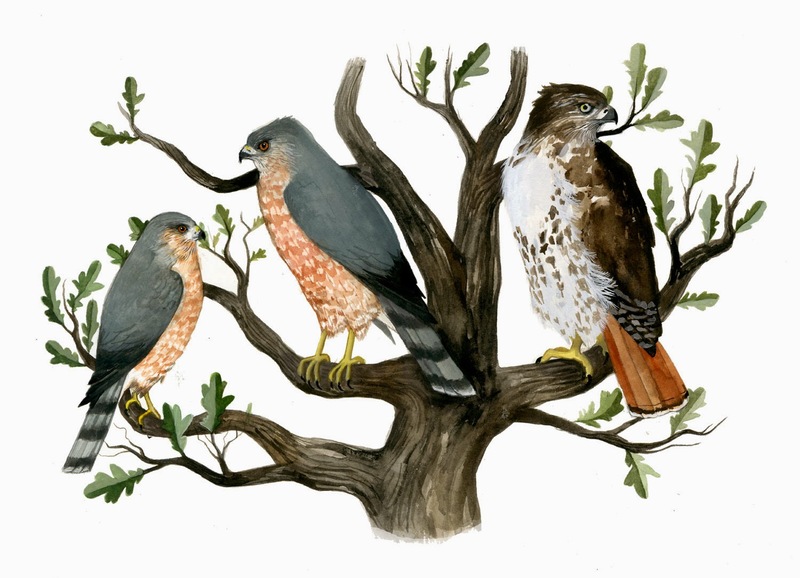 I saw of one of these beautiful birds (my first one) the other day, and was so happy to see your painting.